A Mass of Christian Burial is scheduled for 10 a.m. Friday, Feb. 23, at Our Lady of Grace Catholic Church for Eugenio Martinez of Artesia. 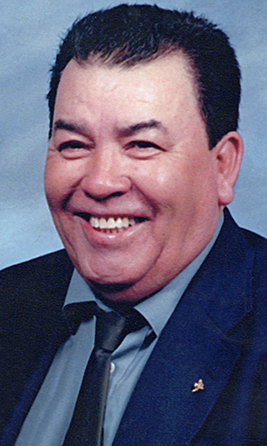 Martinez, 83, passed away Monday, Feb. 19, 2018, in the Artesia General Hospital emergency room. Fr. V.J. will officiate the services, with interment to follow at Woodbine Cemetery. Pallbearers will be grandsons Dave, Matthew, Michael, Eric, Steven, Jacob and Anthony Martinez. A rosary will be recited at 9:30 a.m. Friday at Our Lady of Grace. Eugenio was born Nov. 24, 1934, in Ruidosa, Texas, to Leon and Teresa (Ornales) Martinez. He moved to Artesia as a young boy. On Oct. 22, 1955, he married Socorro Salcido in Artesia. Eugenio worked for 30 years for Artesia Compress and made it a point to retire the day he turned 62. He was a member of Our Lady of Grace Catholic Church and served as an usher for many years. He was an avid outdoorsman, including hunting, fishing and shooting. Eugenio enjoyed meeting people and loved spending time with his family. Survivors include his wife of 62 years, Socorro, of the family home; daughter Nora Bustamante and husband Jim of Artesia; sons David Martinez and wife Susan of Roswell, and Eugene Martinez and wife Michelle, Israel Martinez, and Martin Martinez, all of Artesia; brothers Hector, Lolo, Octavio and Ruben Martinez; 12 grandchildren; 19 great-grandchildren; and a host of nephews and nieces. He was preceded in death by his parents; a daughter; four grandsons; two brothers; and one sister.